By John ~ October 9th, 2009. The harvest began early in Washington State this year, and first indications are that itâ€™s going to be another stellar vintage. The state of Washington has had an uninterrupted string of outstanding vintages for this entire decade, highlighted so far by 2005 and the 2007â€™s just now being released. A report by the Washington Association of Wine Grape Growers indicates a record crop of 155,000 tons of wine grapes this fall, up from 145,000 tons last year. While their estimates are often on the high side, a record crop is still likely. While harvest is only the beginning, without a good harvest under the right growing conditions, itâ€™s tough to make great wine. Fortunately, the early returns on 2009 are very promising. 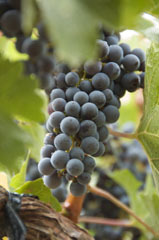 The growers have done their job; now itâ€™s the winemakers’ turn. Itâ€™ll be at least two years to tell if the promise of this fall turns out to be great wine. In the meantime, weâ€™ll toast the 2009 harvest by opening some of the great new 2007â€™s from Washington State now being released.